Tripping Over My Roots: Fridays Faces from the Past - Lilian Matthews Hunter and ? Fridays Faces from the Past - Lilian Matthews Hunter and ? I'm sorting through more photos from that basement stash this afternoon frustrated by the lack of information about some of these photos! It will pass, after all, it is Friday, but I'm turning to you and my Facebook friends and family for help. Do you think that these photos are the same woman? 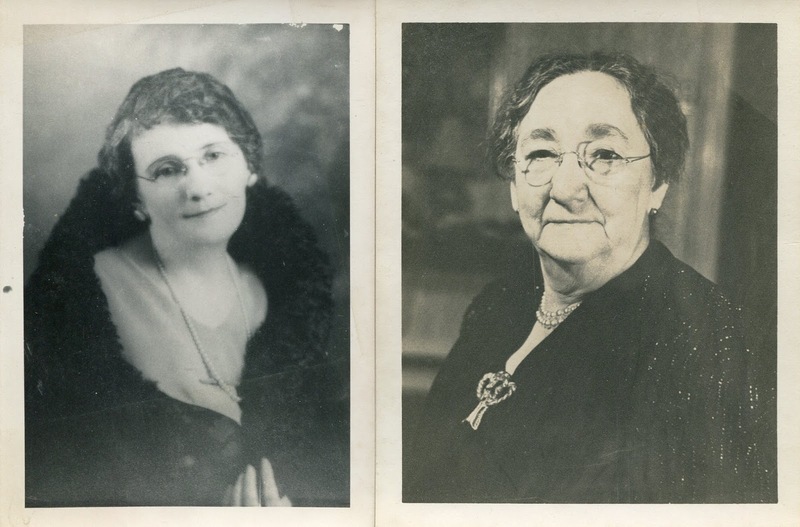 The woman on the left is identified as Lilian Matthews Hunter, eldest sister of my paternal grandfather. The photo was taken in December of 1933 when Lilian was 55. The photo on the right is not identified and has no markings from a photographer or developer. Please let me know what you think. Thank you! Wow, there are certainly some strong resemblances if not. Their mouths and noses look the same to me.